During lunch, I offered about 5ml of expressed breastmilk (EBM) to Baby V via the Medela cup. He sipped it, recognised it as his usual drink, finished the entire serving after several sips (some dribbled down from his lips) and wanted more! What a simple and inexpensive solution! I should have saved the money spent on buying the cup with soft spout, which is essentially a bottle too. Now I can sleep well knowing that someone else can take over feeding Baby V when the need arises. 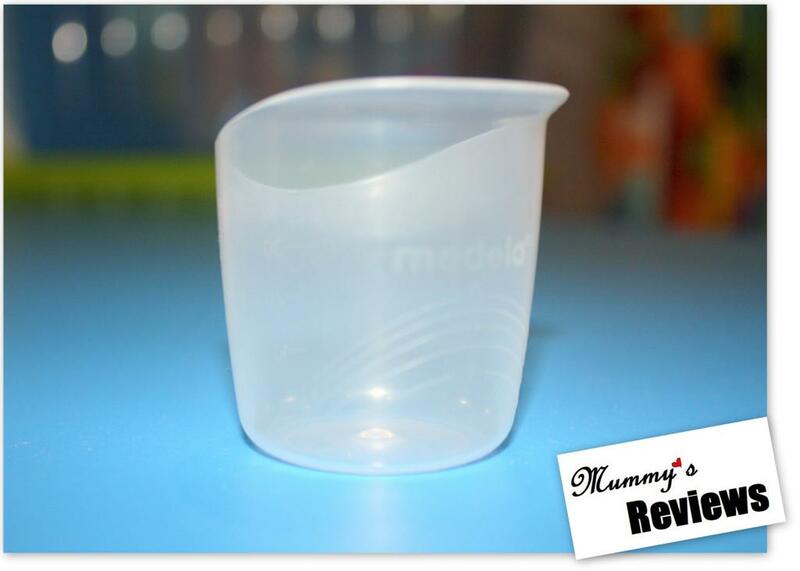 How was your experience weaning baby off the bottle to a cup? Feel free to share with other parents here. Chanced upon your website while doing some research. My 3.5 month-old boy is rejecting the bottle and I’m now thinking if I should try another teat or maybe use a sippy cup. But now that I see your article, I thought maybe I could give this a cup try. My question is, though the cup is supposed to be the disposable type, you did say that it can be reused. If that’s the case, how do you clean it? Can it be sterilised in a steriliser? If only i knew of this product earlier! our hospital used those medicine cup to cupfeed the baby who cannot latch on in the hospital and i was given a few when i went home. but as they are not re-usable, i couldn’t find alternatives when they were all used up. now i know! I had the same problem with my 5 month old. I did the exact same thing as you yesterday and she drank about ten mls. I have been trying to get her to take a bottle for over 3 weeks which still she dispies. I think i have found a solution being this. Great to know im not the only one. And yes i have steralised mine. Wondering what is the capacity of these cups? Hi Aditi, sorry, I don’t have a sample of the cup now. Please ask any online seller. Thank you and all the best!